• Fractured teeth – particularly if the tooth is fractured at the gum line, or vertically which causes a split tooth. Also, if the fracture is extensive, the tooth may need to be removed. 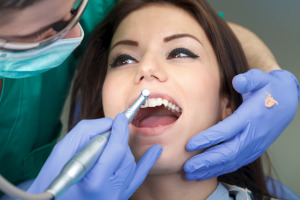 • Root Canal Failure – a root canal is designed to remove infection from the root of the tooth. When this fails, the tooth may need to be extracted. Dr. Singh can extract a tooth and place dental implant during a single visit to our Berkeley dental office. This single procedure prevents patients from remaining toothless following an extraction. It also conveniently combines two procedures into one, eliminating the need for patients to return at a later date for the surgical implant placement. During the extraction and immediate implant placement procedure, Dr. Singh extracts the tooth and utilizes the space where the natural tooth was to insert the dental implant into the jawbone. Following the implant placement, typically a temporary crown is fitted and the implant is hidden from sight. Patients usually find they are able to return to their daily routine within two to three days. After two weeks, the patient returns to have the site checked for proper healing. Following a period of healing, Dr. Singh restores the implant in-house by fitting it with an abutment and a new crown or dentures. Depending on the location of the new tooth, patients receive their crown or denture within 2-6 months. Each patient is thoroughly evaluated prior to all procedures, and a treatment plan is established with their specific needs in mind. Dr. Singh uses computer-guided implants when possible, but because each case is different, other techniques may be applied. Evaluations and treatments are based on safety, efficiency, and patient needs. Dr. Singh’s patients are encouraged to let us know if they harbor any dental anxiety or fear. We are great with calming nerves and can drastically reduce anxiety levels with Nitrous Oxide or oral conscious sedation. If you require an extraction, or want to know if dental implants are the right dental solution for you, please contact our Berkeley Dental office today.